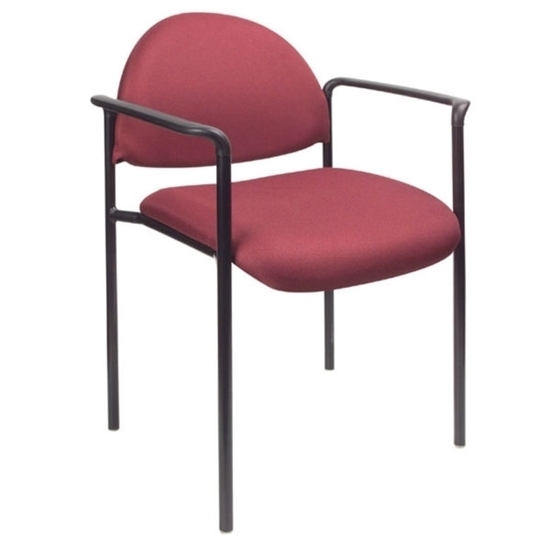 The Boss B9501 guest stacking chair is very flexible and affordable. Use it in a multi-purpose room, waiting room or conference area for extra seating. Available in four different colors; Black, Blue, Burgundy and Grey. Free shipping and warranty on all discount office chairs. Overall Size: 23.5"W x 23"D x 30.5"H.